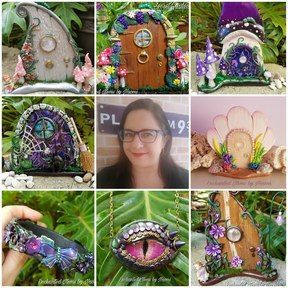 This Mushroom House Fantasy Scene is hand sculpted with Polymer clay using a painting with clay technique, giving this a 3D effect and making this a one of a kind piece. This scene is framed ready to hang on a wall or place on a counter for display. Frame size is 22.5cm wide by 22.5 heigh.